Stewardship is a dirty word in most churches. Pastors preach about it knowing they must, while members sit uncomfortably through the "it's-that-time-again" sermons and other appeals. Church members need to be encouraged to go beyond thinking in terms of dollars contributed in order to see stewardship as becoming living examples of the gospel. Included in the basic text Afire with God are examples for faithful stewardship of the earth, ways to reinvigorate stewardship in worship, long-range planning ideas, and plans for individual ministry growth. 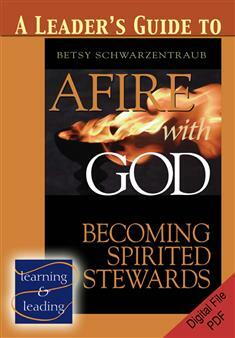 Leading in Stewardship is used alongside Afire with God.